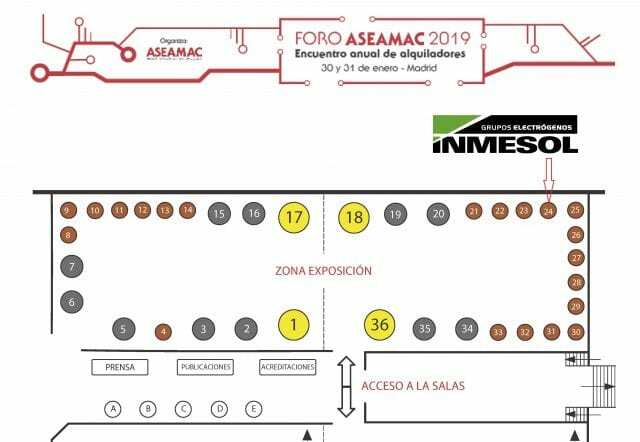 The annual meeting of machinery rental companies called ASEAMAC 2019 FORUM will be held in Madrid on January 30 and 31, marking this year its sixth edition. Organised by the Spanish Association of Machinery Rental Companies (ASEAMAC), it has the purpose to highlight the most relevant and current issues in the sector, through conferences and debates. This forum has become the most relevant meeting for professionals in the machinery rental sector. The event will take place at the Meliá Avenida de América Hotel in Madrid, where numerous members of the machinery rental sector will meet, including INMESOL. This year, we are focusing on the ULTRAQUIET equipment. 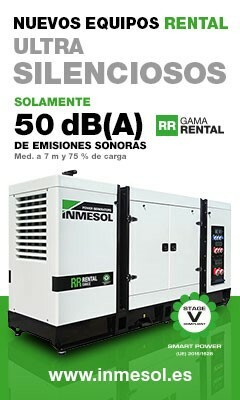 Its noise emission, of up to 50 dB(A), makes it one of the most robust and silent gensets on the market. You can find us on section 24 of the exhibition area, and we will be delighted to share with you all the information on these new ULTRAQUIET equipment, as well as other innovations implemented in the generator sets specifically designed for the rental sector. Dates: January 30 and 31, 2019. Place: Meliá Avenida de América Hotel.